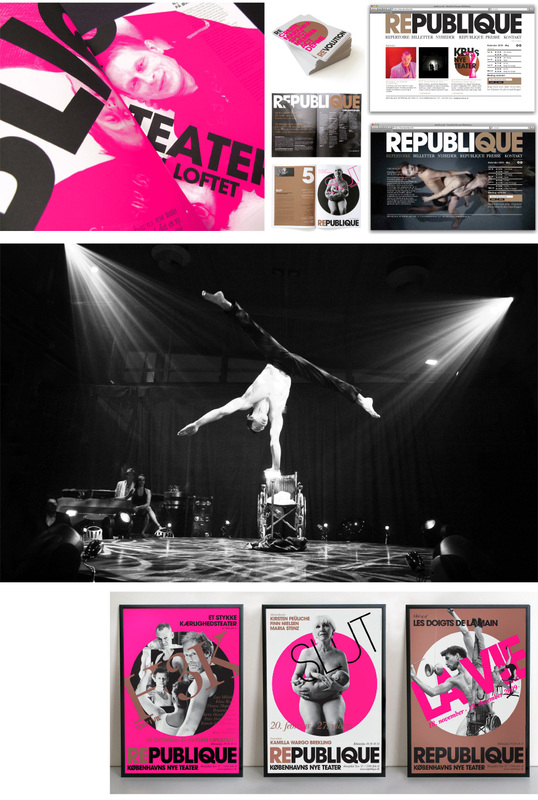 “REPUBLIQUE is an international theatre, which builds a bridge between the classical theatre’s powerful stories and the physical theatre’s innovative, provocative expression”. An important part of the task is to make a strong, simple, visual poster concept which expresses the vision, the individual performances and which at the same time creates attention. 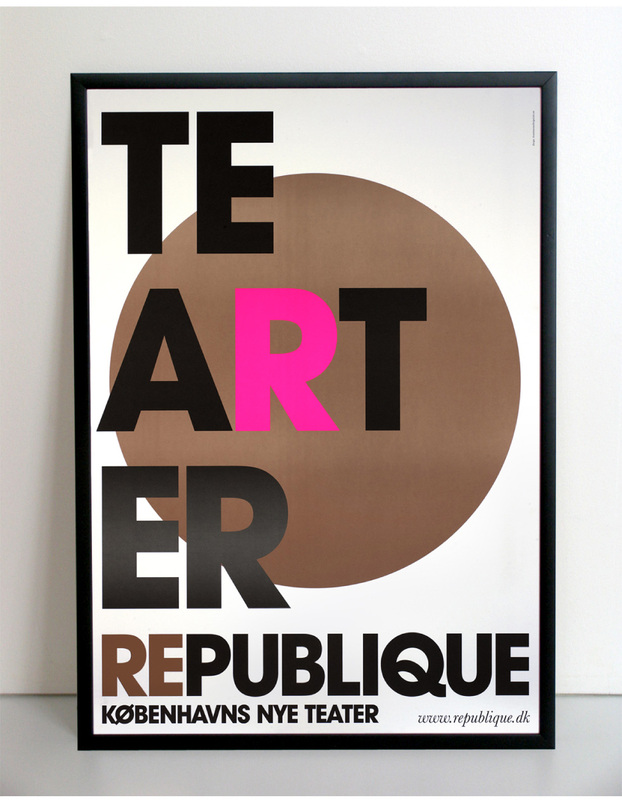 The circle is used as the symbol for the new REPUBLIQUE theatre. 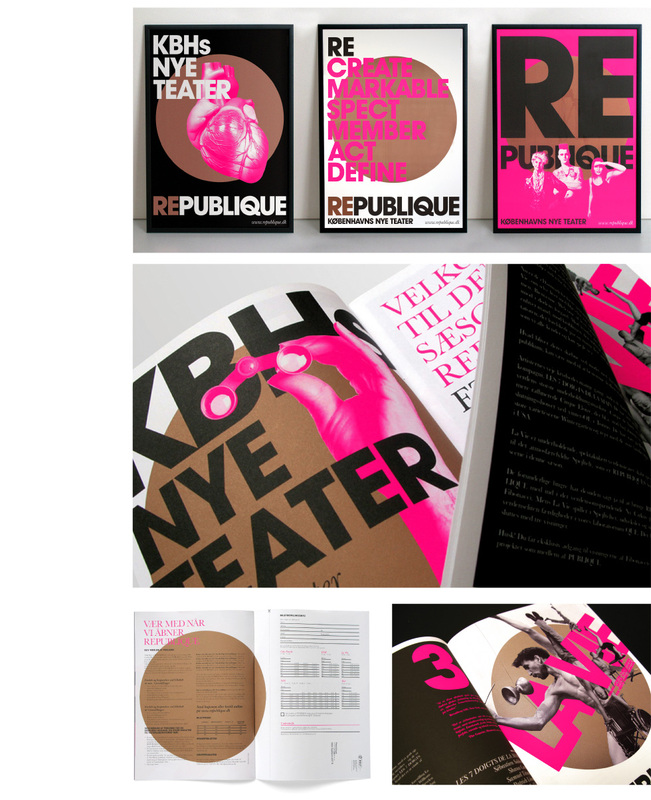 A decision was made to create a series of image posters that support the posters for the individual performance in expressing the theatre’s vision. 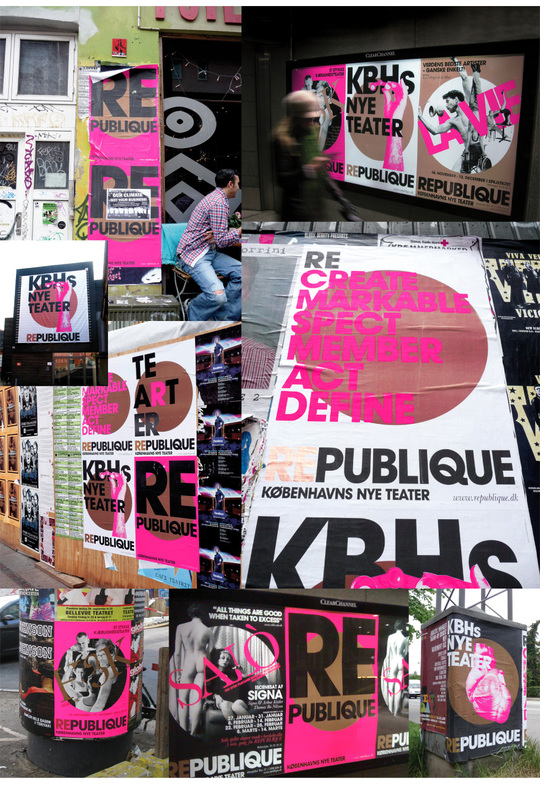 For every performance, both kinds of posters are placed side by side around the city. 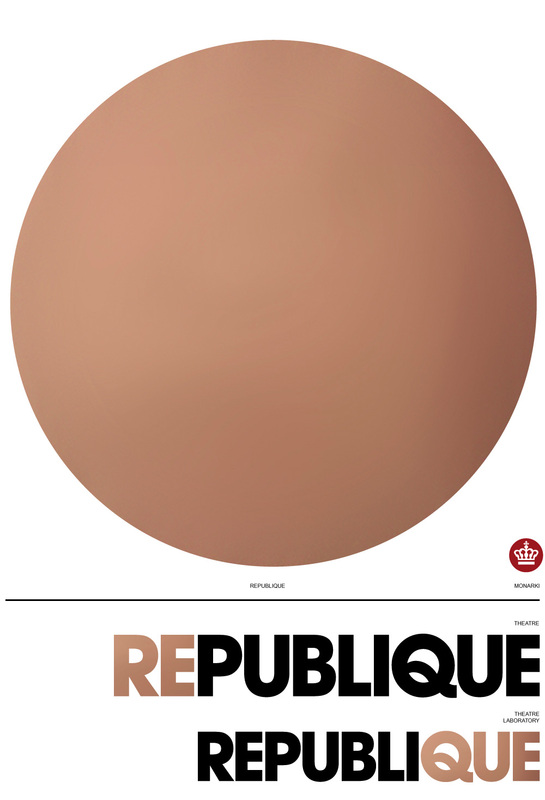 The circle symbolises a community of shared values across nationality, gender and age and serves as a reminder that you – the audience – is at the centre of all that REPUBLIQUE does. 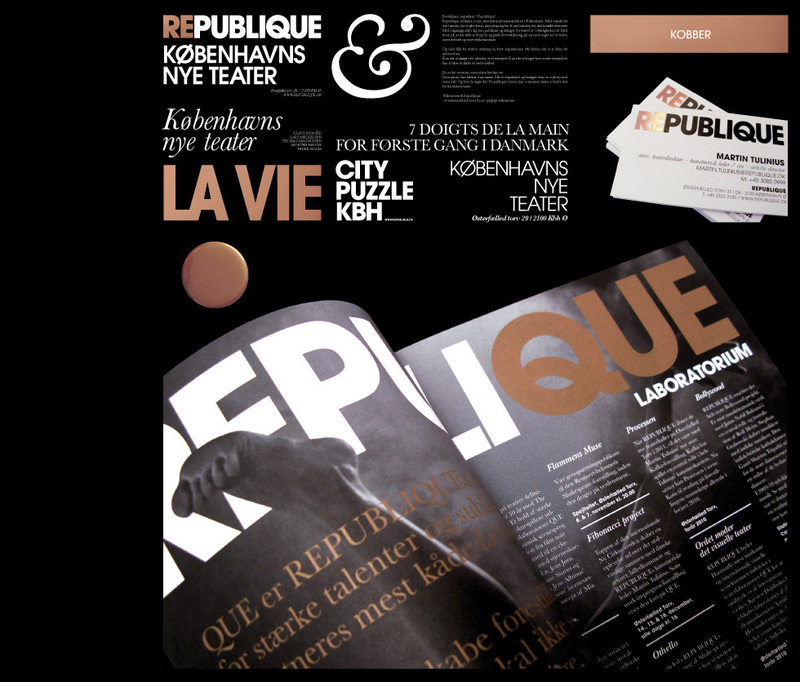 The use of copper as the corporate REPUBLIQUE colour is inspired by the copper roofs of Copenhagen. The fluorescent pink is chosen for first season to create a powerful, visual synergy between image posters and the posters for the individual performances. To ensure a clear recognition of the theatre the circle appears on all posters in the exact same size and place, thus allowing constant change in the artistic expression from season to season. 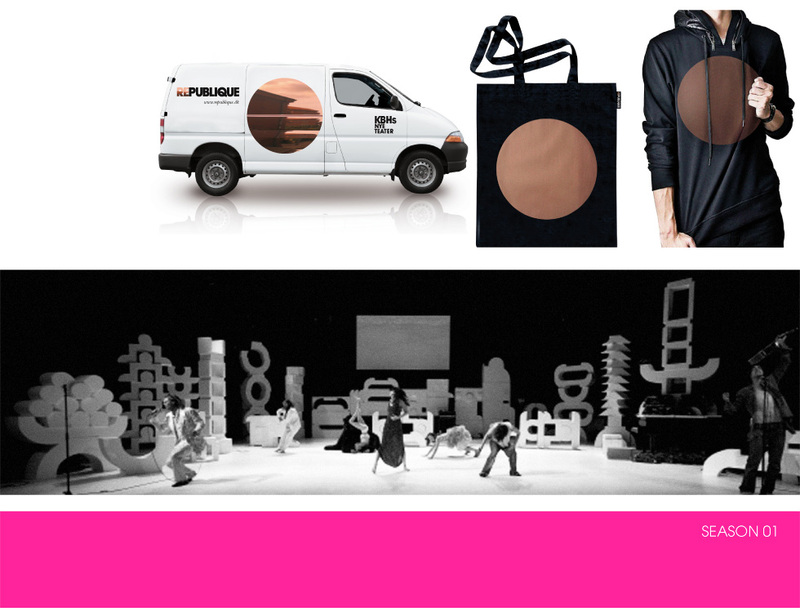 The brand universe allows the theatre to express its vision in the presentation of every play, so that every story becomes a part of the larger REPUBLIQUE story.